Looking for some help deciding which marine salt mix is the best choice for you and your reef tank? Few things will have a more significant impact on the quality of your aquarium water. 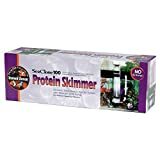 There are a lot of factors you should consider when selecting the best aquarium salt for your own aquarium, and I encourage you to do some more research in this area. But one way to short-cut the research is to see what everyone else is doing. Just like mom used to say…if everyone else jumps off a bridge…does that mean you are going to do it, too? Well, no. But this is different. Saltwater Aquarium Blog readers are some of the smartest and best-looking aquarium owners on the planet. The list compiled here isn’t my opinion. It isn’t anyone else’s opinion. 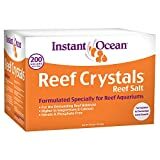 It’s based on real purchasing data, from people who were reading SaltwaterAquariumBlog.com (like you) and then purchased a Marine Salt Mix from Amazon.com within 24 hours after leaving the site. These data are captured, anonymously, as part of the Amazon Associates Program, which is a special type of advertising program called an affiliate program. Here is how it works (basically): I love this hobby and also love to write–which is why and how SaltwaterAquariumBlog.com exists. Amazon wants you to shop there. They make it really easy for guys like me to post pictures and links of products that can be purchased there. Anytime someone clicks through and purchases a product there, they credit me with a small % of the purchase price, at no additional cost to the purchaser. As part of this service, they also provide reports to help me see what products are the most popular. And that is the source of data used in this report. So this list isn’t a comparison of different specifications, features or prices. If you’re looking for more information like that, check out this article here. 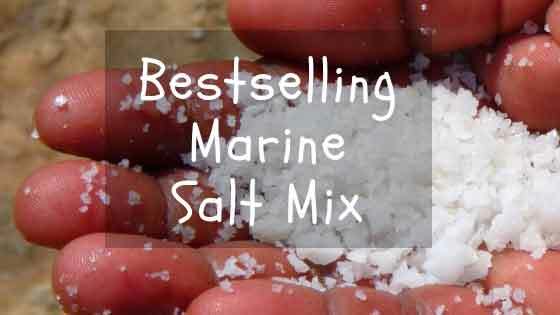 Instead, this is a real-life representation of the BestSelling Marine Salt Mixes in 2018 among real SaltwaterAquariumBlog readers. Make sense? Okay, on with the show. This article and this blog, really, wouldn’t be possible without your support. Support in the form of reading–just showing up and spending time on this site reading and clicking around means the world to me. It also sends signals to Google that this is a site worth showing to others in the search results so other readers like you can find it. Your support in the way of purchasing items you may otherwise already need or be looking for from sponsors and through affiliates like Amazon also helps reinforce that I’m writing stuff you appreciate. So thank you. Truly, from the bottom of my heart, this website–and getting to meet and interact with all of you–is one of the most fulfilling things I do outside of spending time with family. There would be no top 5 list to share…if your support wasn’t reflected here. So for that, I am thankful. This article was intended to be short, sweet and to the point. The purpose was to share with you what the bestselling marine salt mixes of 2018 were among the people most like you (those of you reading this blog). It’s not a complete substitute for proper research, but it should certainly help you sort through all the options out there. Plenty of people have opinions and reviews about which is the best marine salt mix, but there is no substitute, in my opinion for actual behavior. These readers put their money on the line and voted with their wallets, not just their opinions. For that reason, I thought these data were particularly useful and worth sharing. I know I found a few things to add to my wishlist as a result. Are you surprised by any of the products on this list? Do you have a vote for something you think belongs on this list? Please leave a comment below and let us know.